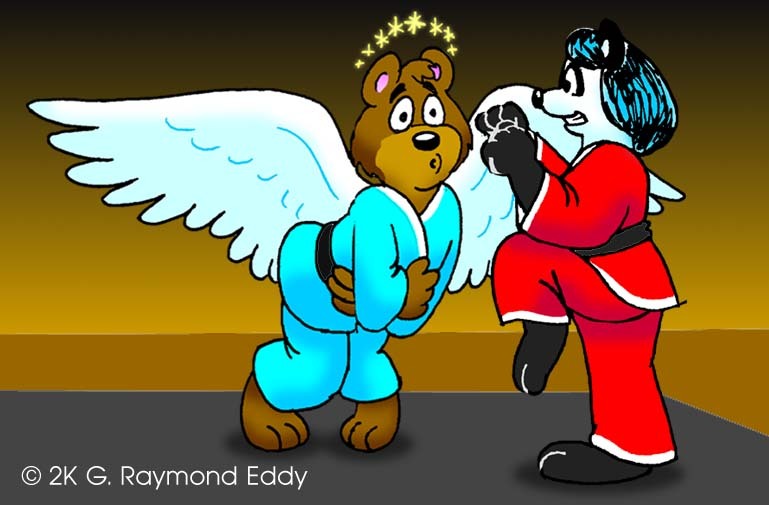 Kahei's Dojo is once again becoming a popular spot on FurryMUCK. I don't think this is how I became First Level Master. Quarterbacks beware! 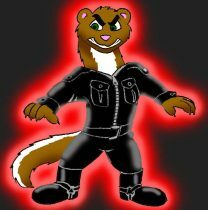 Here's the Active Raccoon Kid, dressed to kill! 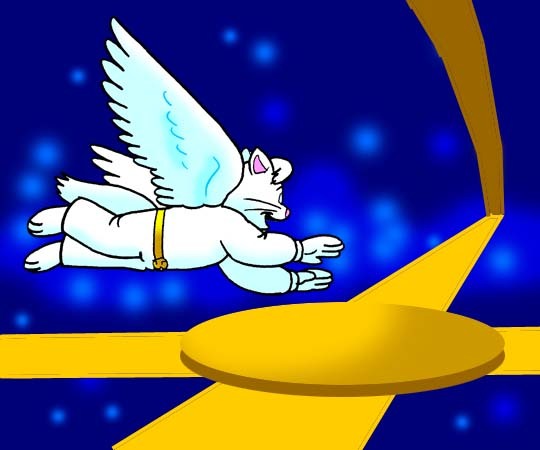 A rebuttal of Gene Catlow's theory for defying gravity. 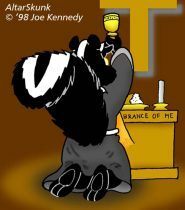 AltarSkunk celebrates this most holy of holidays with Communion. A commission piece done for AltarSkunk. The Altar Awards will be awarded soon. 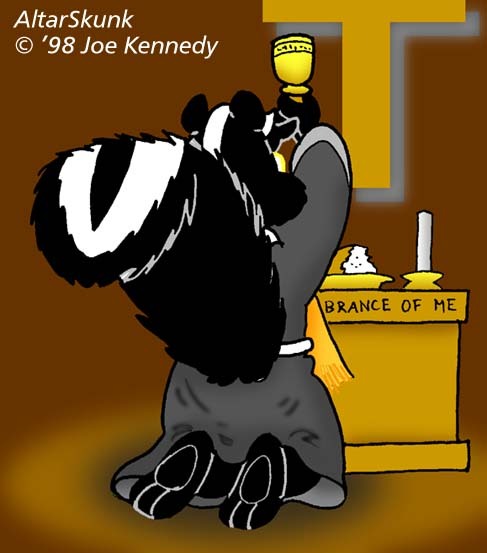 More info at http://www.globalserve.net/~tibm/altarskunk/stink/stink.txt. 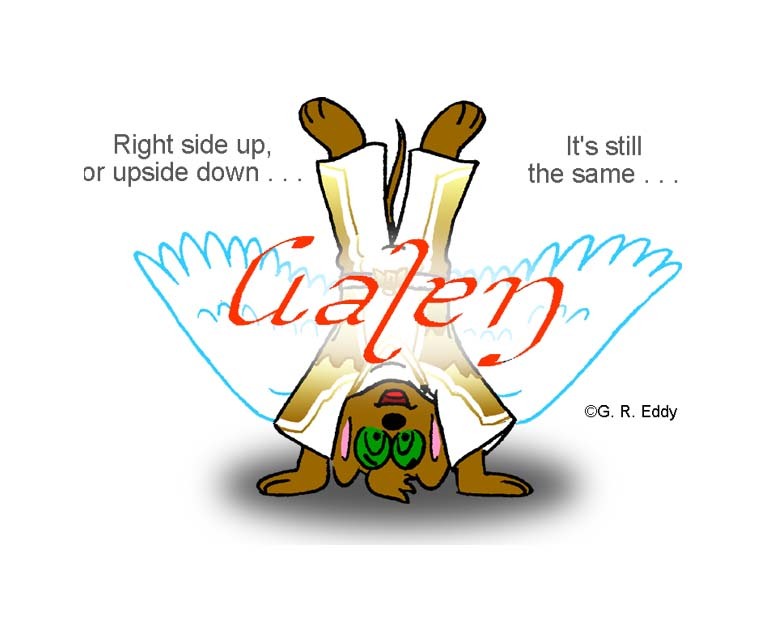 An ambigram is writing that reads the same upside down as right side up. Happy Birthday to Ananda! 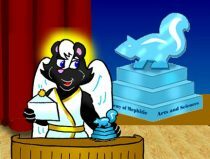 She receives a gift from AltarSkunk. 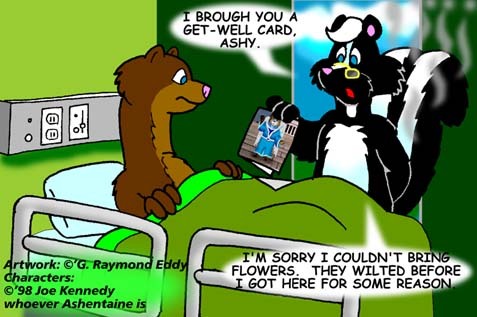 AltarSkunk's get well card for Ashentaine. MS Flight Simulator is a good source of aerial shots. I took a screen capture of the program using Screen Thief 95. Installment No. 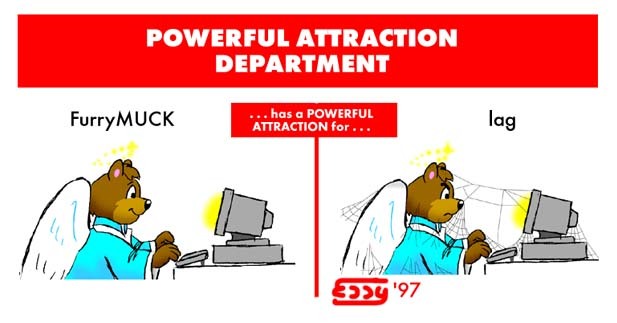 1 in my "Powerful Attractions Department"
You asked for it! 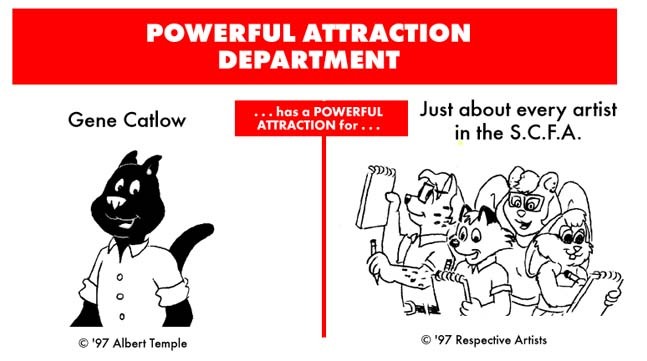 Another Powerful Attraction! Some artists in our present company have Powerful Attractions. While mortals mourn, angels are getting out their autograph books. The newest caped crusader! 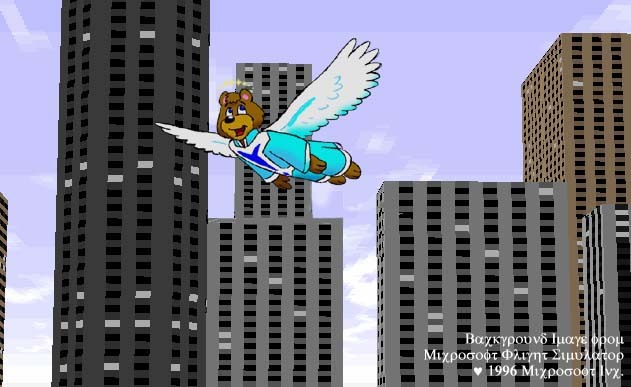 Toast (©; John Peterson) swings into action as the Beige Avenger. 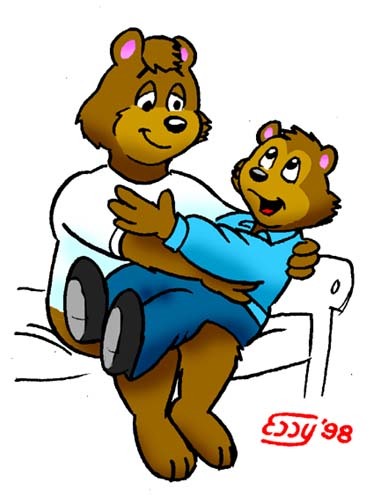 Seems Baloo_Ursidae has been having dreams about me. Here's a belated birthday pic of him. 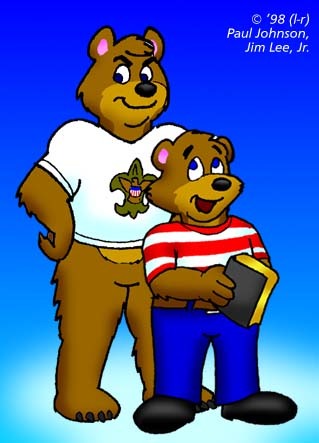 FurryMUCK residents Baloo Ursidae and his son (?) Peejster. Peejster sitting on the lap of his pappy, Baloo Ursidae. 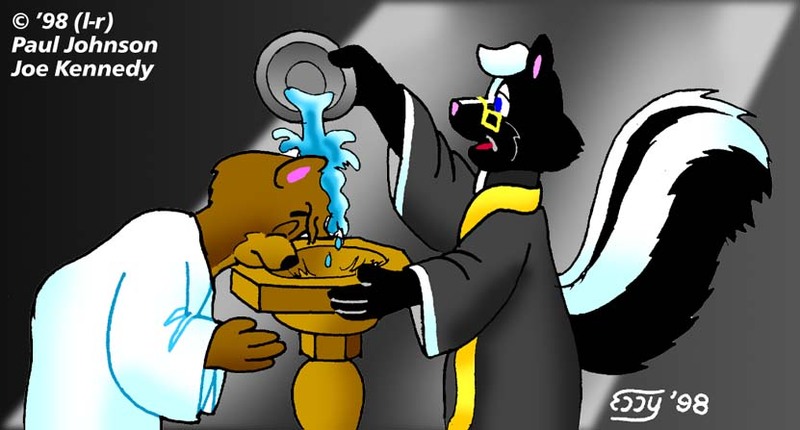 Baloo Ursidae submits himself for baptism by AltarSkunk. 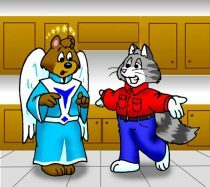 Sebastian, Mr. Whiskergrinz himself, compliments me on how handsome -- and barepawed -- I am. A picture that didn't make the cut for my comic for /Magic Carpet/ #3. Had to upload it so I can tell Screamin' Skull I have new art. A graphic I drew for the Warriors Baseball page on my web site. Randy Panda frolick's with Baloo Ursidae at Honeybadger's. 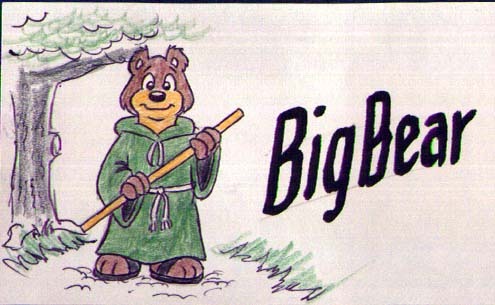 Bigbear, High Priest of the United Church of the Fur. 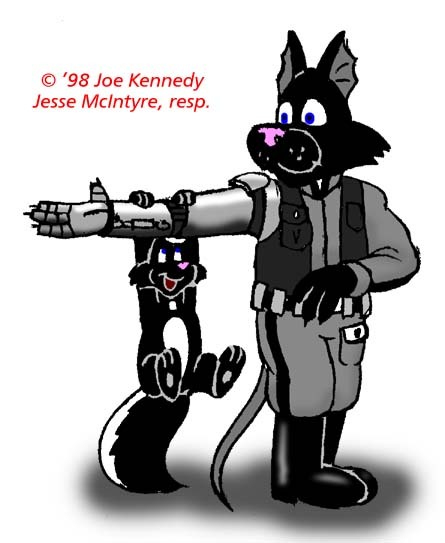 ©; '97 Michael E. Setzer. Bigears the fennec from FurryMUCK. He's been posing for me, dropping heavy hints. Here's the result. In a web comic I'm working on, Angel Bear challenges Herbie Bearclaw (in Heaven) to spend an entire day hovering ten inches over the ground. 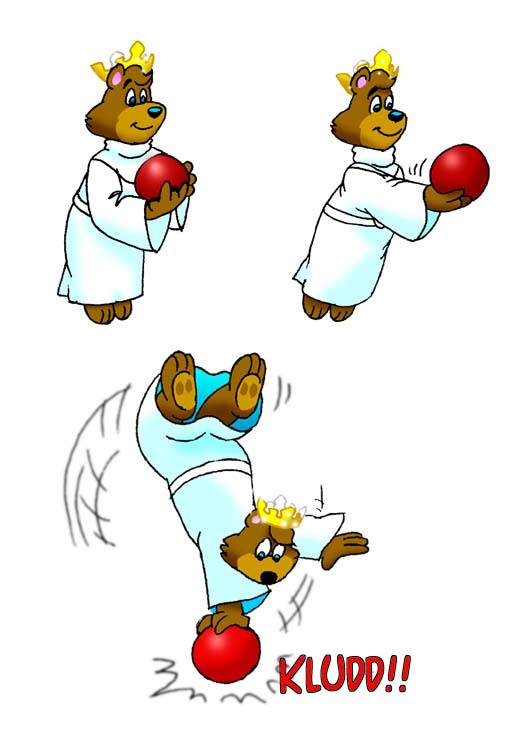 Here's what happens when he tries to bowl.